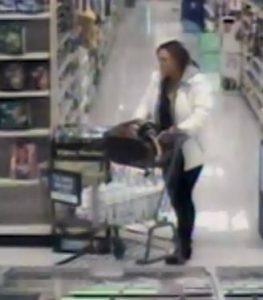 The Upper Allen Police are investigating a retail theft that occurred at the Giant Store on Cumberland Parkway on November 27, 2018 around 6:00 PM. 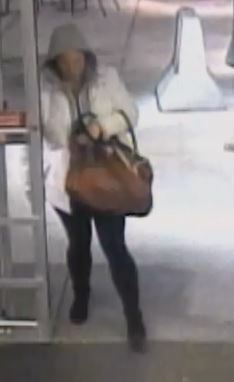 Police are attempting to identify the female pictured above for stealing approximately $700.00 in beauty products. The suspect is associated with the dark colored Dodge pickup – also pictured above. Anyone with information regarding this incident is asked to call 717-238-9676. An anonymous tip line is also available by calling or texting 717-850-UAPD (8273). Anonymous tips can also be submitted online by visiting: www.upperallenpolice.com.